The 2018 season of Formula Drift is well underway and Jalopnik will be at Wall Stadium in New Jersey tomorrow for round four. Will you be in the area with nothing to do? Drop by for some sideways fun and say hello! 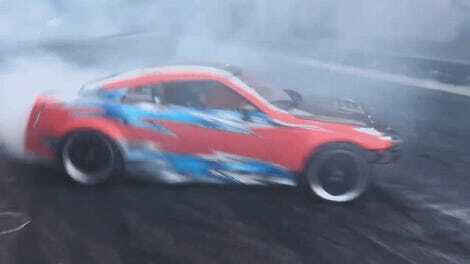 Temperatures will be around 80 degrees with clouds and potential thunderstorms, the perfect drifting weather. Muggy and damp. But the event is rain or shine, so a little chance of rain sure isn’t stopping us. I will be there, along with Raphael Orlove, walking around and checking out all the cool stuff. Look for his Beetle in the parking lot. I’m also not not saying that you should then leave him some kind of sign when you recognize his car. (It’s a kind of a faded aqua-blue color). According to the Formula Drift website, parking will be $10 and admission is $35. See you there!